The Chesapeake Regional Tech Council has asked Susan Stobbart Shapiro to co-chair its Social Media Marketing Forum with Kathleen Booth of Quintain Marketing. The objective of the Social Media Marketing Forum is to provide value to the CRTC membership by leveraging social media to market CRTC programming, educate the membership about social media, drive social media oriented events, and to engage the CRTC membership. 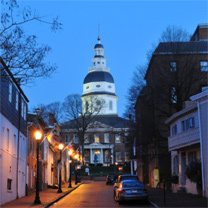 Founded in 1992, the CRTC (formerly the Anne Arundel Tech Council), is THE membership association for the technology community in the Annapolis-Washington-Baltimore region. It provides a forum designed to further economic development in our community through the support of innovation and commercialization of advanced technologies. The organization attracts new technology companies to the region and helps emerging technology companies grow and prosper in this increasingly dynamic environment. The CRTC does this by serving as a resource that meets technology companies' business, education and networking needs. The CRTC also helps to enhance public understanding of technology-related issues. CRTC members include companies from throughout the technology sector, including those focusing on information technology, telecommunications, the Internet, and computer applications and software. Other members are business support firms, agencies and educational institutions which provide a wide variety of essential resources for area technology companies.